Submit manuscripts as e-mail attachment to the Editorial Office at: editorjabe@gmail.com, editorkypublications@gmail.com a manuscript number will be mailed to the corresponding author same day or within 72 hours. 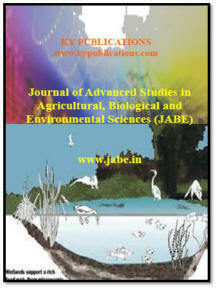 JABE will only accept manuscripts submitted via e-mail attachments only. Name of the author designated as the corresponding author, along with their: E-mail address; full postal address; Telephone and fax numbers; Keywords and/or classification codes, if required. See the journal's ‘Guide for Authors’ for details. The names and addresses of potential Referees, if required. See the journal's Guide for Authors for details. Authors retain copyright and grant the journal right of first publication with the work simultaneously licensed under a JABE License that allows others to share the work with an acknowledgement of the work's authorship and initial publication in this journal.